The National Consumer Tribunal (NCT) told the Portfolio Committee that its human and financial resources were not keeping pace with the rate at which its caseload was increasing. It had received 24 446 cases from 1 April 2016 to 21 October 2016. This was already 3 349 cases more than the 19 097 cases received during the entire 2015/16. It was a 99.16% increase on the 9 589 cases received during 2014/15 and a 254.57% increase on the 5 386 cases received during 2013/14, and a 355.45% increase on the 4 193 cases filed during 2012/13. In essence, the caseload of the Tribunal had increased almost fourfold over the immediate past three-year period. The financial resources of the Tribunal had increased by 12.93% on average over the same three-year period, and the staff complement of the Tribunal had increased by three staff members, from 38 to 41 employees. The NCT said administrative penalties served as a deterrent to prohibited conduct, but had to be balanced. Factors were set out in the legislation, and the Tribunal also considered submissions made regarding employment and business continuity. During 2016/17, the Tribunal had issued administrative fines to the value of R995 000, including settlements. In total, it had issued administrative fines in excess of R7 million to various parties. Members asked if the NCT was aware of companies actually budgeting for fines so that they could continue with their improper practices. Had it encountered any repeat offenders? Was it able to provide an adequate service to the rural areas? Why had it changed its procedural rules without informing the key role players? It was asserted that the NCT took too long to process cases, and had lost the confidence of the public. How was it coping with the backlog of cases? Could applicants request the NCT to write off their debt? The Committee was told that a sub-committee would be putting the terms of reference on legislation dealing with debt relief before it for adoption. The objectives were to consider viable debt relief measures and to unpack the legal policies related to the issue. It was planned to invite experts to comment on debt relief and develop a memorandum of intent for submission to the Committee before the end of the quarter. A Member reported back on her visit to Queenstown, where she participated in the “revitalisation” of the Queens Industrial Park. She said that R22.5 million had been spent on the project and expressed her belief that the revitalisation was “good value for money.” 71 jobs had been created and small emerging contractors had benefited. Mr A Williams (ANC) said that the sub-committee would be putting the terms of reference on legislation dealing with debt relief before the Committee for adoption. The objectives were to consider viable debt relief measures and to unpack the legal policies related to debt relief. It was planned to invite experts to comment on debt relief and develop a memorandum of intent for submission to the Committee before the end of the quarter. Adv A Alberts (FF+) said that if required, he would attend the sub-committee meetings. The Chairperson asked Members who were not on the sub-committee to vote for adoption. Mr D Macpherson (DA) proposed the adoption of the recommendations put before the Committee. Ms S van Schalkwyk (ANC) seconded the recommendation. The Chairperson said that the Committee must ensure that the times and venues were confirmed and that the Members attend meetings and maintain efficiency. Dr Bonke Dumisa, Deputy Chairperson, NCT, thanked the DTI members in attendance, and conveyed an apology for the absence of the Chief Executive Officer (CEO), who was attending to pressing matters in Pretoria. Ms Marelize Bosch, Chief Operations Officer (COO), NCT, presented to the Portfolio Committee. To allocate a matter to a single member, or three-member Tribunal panel for hearing, as required by the National Credit Act (NCA). Pleadings are open for a set period of time after complete filing, to allow the parties to file an answering and replying affidavit. After this period, pleadings close and the matter is ready to be allocated for a hearing. If a party fails to follow the Tribunal rules (for example, file an answering affidavit outside of the permitted time period), such a party must apply to the Tribunal to condone non-compliance with its Rules. If the non-compliance is not condoned, the step would be irregular and disregarded. Apply for interim relief or remedy. A term which means that all the filing requirements for a specific application, as set out in the Tribunal rules, have been met. This notice also signals that pleadings are open and that the Respondent may file an answering affidavit. Consequent to the NCA Rule changes, assessments for complete / incomplete filings are no longer required, as this reduces resource requirements and would require a change in the NCT’s annual performance plan (APP) key performance indicator (KPI) index. Debt rearrangement application (DRA) assessments were done at motion court, together with the adjudication process. Non-debt re-arrangement application -- all other applications which may be heard by the Tribunal, excluding DRA’s. These applications in most instances require three Tribunal members and a formal hearing. Approximately 53 Prohibited Conduct types and 34 applications in terms of the NCA. For example, referral of prohibited conduct by the Regulator i.e. reckless credit granting, failure to do affordability assessments, charging illegal interest rates, review of sale of goods, resolving disputed entries on statements or cases of prohibited conduct referred directly to the Tribunal by a consumer after receipt of a non-referral notice. Approximately 99 Prohibited Conduct applications in terms of the Consumer Protection Act (CPA); for example, issues of quality of services and goods, warranties offered on repaired goods. These were often complex matters, involving new legislation without guiding precedents. All instances heard to date were brought to the Tribunal as a result of non-referral notices being issued to consumers, as opposed to matters referred by the Regulator. The NCT had received 24 446 cases from 1 April 2016 to 21 October 2016. This was already 3 349 cases more than the 19 097 cases received during the entire 2015/16. This was a 99.16% increase on the 9 589 cases received during 2014/15 and a 254.57% increase on the 5 386 cases received during 2013/14, and a 355.45% increase on the 4 193 cases filed during 2012/13. In essence, the caseload of the Tribunal had increased almost fourfold over the immediate past three-year period. The financial resources of the Tribunal had increased by 12.93% on average over the same three-year period, and the staff complement of the Tribunal had increased by three staff members, from 38 to 41 employees. The Tribunal members increased from 11 to 13 with the appointment of two full-time members during the 2013/14 FY, but this had dropped to 12 with the resignation of one member. The 24,446 cases received from 1 April 2016 to 21 October 2016 were made up of 24 211 DRA applications, 234 non-DRA applications, and one other. The number of cases filed did not reflect the time and resources required to manage these two types of cases to finality. During 2016/17, the NCT had received 18 non-Debt Re-arrangement matters in terms of the CPA (two Regulator referrals and 16 non-referrals) and 219 matters in terms of the NCA (three Regulator referrals, five non-referrals and 211 other). During 2016/17 the NCT had received three matters from the National Credit Regulator (NCR), all of which were related to prohibited conduct referrals. It had received two prohibited conduct referrals from the National Consumer Commission (NCC). The NCT had received 230 applications from other filing parties. These applications were mostly brought by unrepresented filing parties. It had received two matters of failed ADRs, and one review of sale of goods There were 50 applications for variation or rescission of Tribunal orders (these matters were closely linked to the debt re-arrangement applications), five non-referral applications in terms of the NCA, 16 non-referral applications in terms of the CPA, one application for interim relief, 152 requests for a statement and one application to resolve a disputed entry on a statement, one application for consent after resolution of a dispute by an ADR agent, and one application to limit obligations in respect of frivolous, vexatious or unreasonable requests. Ms Bosch indicated that five matters were duplicates, however, three of which had been recorded as rescission applications, one as a CPA non-referral and one as an NCA non-referral. The Tribunal had 22 824 current matters. These matters could be divided into 22 642 applications for debt re-arrangement orders and 182 non-debt rearrangement matters. Of the 182 non-DRA matters, 47 were filed before 1 April 2016 and 135 filed after 1 April 2016, up to and including 21 October 2016. As at 21 October 2016, the Tribunal had a total of 22 642 (5 132 filed prior to 1 April 2016) applications for debt re-arrangement orders to adjudicate on. The Tribunal had issued 12 032 orders on debt re-arrangement applications during 2016/17 up to 21 October 2016. The applications were issued through motion courts with resounding success. Furthermore, assessment of matters was attended to at the motion courts as a service to the parties, and was no longer prior to the adjudication process. Ms Bosch said the turnaround from the date of filing to the issue of an order was 91.4 days. The overall turnaround period to finalise debt re-arrangement applications for 2016/17 was 5.13 days from complete filing. The NCT had requested permission to amend this KPI. Finalised non-DRA applications had amounted to 213 cases, of which 100 were filed during 2016/17 and 113 before 2016/17. The NCR had 40 current matters, and 43 matters finalised during 2016/17. The turnaround time for the 40 current matters from date of filing to 21 October 2016 was 330 days, and from close of pleadings was 235 days. Thirty-nine of the current 40 matters had, or had had, either condonations, amendment applications, postponements, or intervention applications. One of the matters had no interlocutory applications. Successful automation programme. The indications were that filing parties would take on programme. Innovation. Through innovation, the NCT would be able to deliver on its mandate within its allocated resources. The NCT had delivered some “ground-breaking” decisions, which had put significant amounts of money back into the pockets of consumers. The cases involving Barko, Bornman, Lewis and NCR v Lightning Cash Loans, were of note. In addition, these decisions had shaped the regulatory environment and created binding precedents. Hygenique Toilet v NCC – Set aside a compliance notice against a small service provider. Coertze & Burger v Young – Order: a refund for services not rendered. Lazarus v Visco Stone – Order: a refund in lieu of replacing defective granite. According to Ms Bosch, administrative penalties served as a deterrent to prohibited conduct, but had to be balanced. Factors were set out in the legislation, and the Tribunal also considered submissions made regarding employment and business continuity. During 2016/17 the Tribunal had issued administrative fines to the value of R995 000, including settlements. In total, it had issued administrative fines in excess of R7 million to various parties. It orders refunds in terms of matters where refunds are due, but the exact amount is normally determined via an audit which is overseen by the NCR. Approval of roll-over funds by National Treasury to be used for future operational cost requirements. Thee anticipated number of cases to be filed with the NCT in future were predicted by using trends of what had been received in the past, as well as other economic indicators such as debt levels, interest rates, etc. The caseload was the biggest driver of the NCT’s costs, pertaining to the variable expenses on the budget. Ms Bosch said that all of the judgments of the NCT were available on www.thenct.org.za. Ms Van Schalkwyk asked whether human resource capacity of the NCT, based on the projected caseload projections, could be sustained. She requested a broad outline, explaining how it would address the issue of service availability in rural areas. Which political party and municipality had been implicated in the case of Hygenique Toilet v NCC? Adv Alberts said that he could not find the case on the website, and requested the assistance of the NCT in locating the judgment. He said that the procedural rules of the NCT had been changed “out of the blue”a few years ago, and wanted to know whether role-players such as the NCC had been notified. He had been informed by the NCC that the holiday club case had been submitted to NCT, adding that the NCC was unaware that the change of rules had not been published on the website. The NCC had received no communication that the procedural rules had changed. After submitting the case to the NCT, the case had been held in abeyance as a result of the incorrect procedure being followed. Consequently, holiday clubs had continue their harassment of consumers, and this would continue until the matter could be submitted again once the procedural faults had been fixed. The preparation and submission of the case to the NCT had taken one year to complete initially, and it had been one year since the matter had been withdrawn. He asked what had transpired. Adv Alberts wanted to know the reason why the procedural rules had been changed. He had been informed by legal experts that the current procedural rules did not reflect the same logic found in civil courts, and which would be required by civil law. They were also not conducive for allowing consumers to have their matters heard by the NCT. The NCT should provide an explanation. Mr G Hill-Lewis (DA) expressed his appreciation for the work of the NCT, despite its limited resources. He said that the initial purpose of the NCT was to ensure that the cases filed by consumers were not handled by the court system. However, currently it was easier for consumers to approach the courts than to submit their cases to the NCT. The NCT owed it to the Committee to follow-up with Committee meetings. He said the Committee was considering legislative amendments to the National Credit Act to grant greater power to the National Credit Regulator to make determinations, making the NCR less reliant on the NCT. The process would be quicker if the NCR made judgments in its own capacity without approaching the NCT. He emphasised his support for the proposed legislative amendments, as the NCR took too long to process the cases put before them. The NCT had lost the confidence of the public as well as the market. The transgressors, as well as the Committee, did not “take the NCT seriously.” The NCR was unable to rely on the NCT to enforce the National Credit Act properly. He suggested that debt re-arrangement should not take more than half an hour to conclude, including the inspection, and proposed that cases be handed over to the Department of Justice to have the matters taken to court. 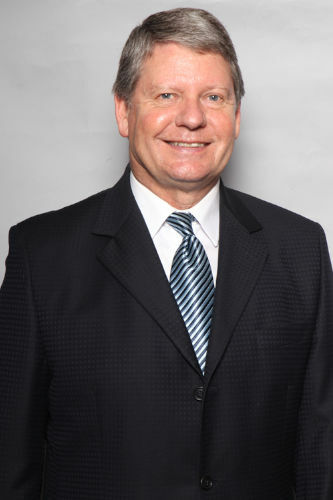 Mr J Esterhuizen (IFP) indicated that consumers had complained to the National Consumer Commission that its documents were poorly drafted and filled with errors, that contact with the NCT was unprofessional, the data was unprepared, that the NCT failed to investigate and it made decisions prematurely. Although interim relief was available from the NCT, the relief was not paid out. He commented that the morals of credit counsellors in this country were “very elastic,” as they took unfair advantage of people. Mr N Koornhof (ANC) asked whether applicants had requested that their debt be written off in a debt rearrangement application, and if not, why? He had noted that the caseload of the NCT had increased and wanted to know whether there were other specific reasons for the increase. Mr B Mkongi (ANC) sought clarity on the success of the NCT with regard to its caseload and its human resource (HR) capacity. He did not understand the relationship between the entity’s HR capacity and the increase in its caseload. The NCT was not effectively reducing its caseload, as the number of cases dealt with was significantly lower in comparison to the increase in the number of cases which had been received. Was the automation process currently in place, and what were the highlights of the previous automation process? Hr expressed his confusion regarding the decrease in average cost per caseload per annum, despite the increase in the cost of living. He asked the NCT how much it cost the consumer to make an application. The Chairperson asked if legislative amendments were required to improve the work of the NCT. She referred to the three issues related to the matters filed before 2015/16 financial year, and enquired as to the year in which they had been filed, how the NCT was managing the backlog and whether the NCT processed matters on a first-come-first-served basis. Did matters related to quality which were filed with the NCT apply to workmanship and the replacement of components? Were the replaced items and components new or second hand? How were such cases handled, and what timeframe was required for their completion? The ICT intervention would assist the Tribunal to manage the current caseload. The NCT would be highly reliant on ICT, and the ICT intervention would allow the Tribunal to adequately utilise its resources. The current costs, such as rental and employee costs to the NCT, were not reliant on the increase in variable costs. For this reason, the cost per case decreased as the projected number of cases increased. The NCT anticipated an increase in the number of Tribunal members. The NCT could not easily increase its capacity and the appointments would have to be members of the Tribunal. However, with the use of the ICT intervention and the number of Tribunal members in the NCT, it would be able to handle its cases. Ms Bosch said that the party enquired about in the case of Hygenique v NCC was the Mayor in the Mabhubane District, which was an ANC municipality. She had the case at hand and could provide the judgment to the Committee. In response to Adv Alberts, she said that the changes to the procedural rules of the NCT had been a result of the regulation process required by the National Credit Amendment Act. NCT rules specifically provided for instances where requirements on the filing were not met. The applicants would be notified of what documents were outstanding for their application. The specific procedural requirements for NCT cases were set out in table two of the NCT rules. Legal representation was not a requirement at the NCT. The procedural requirements for cases had been taken from the legislation. The rule changes were necessary to allow for additional applications to be brought to the Tribunal as a result of the Amendment Acts, and to assist the automation process. The procedural rules of the NCT were not the same as court rules, as the tribunal employed inquisitorial processes. The Tribunal’s rules were adhered to by consumers as well as legal practitioners. Ms Bosch said that 13 cases were currently sitting with the Tribunal, pending High Court deliberation. The oldest case filed with the Tribunal with matters pending was filed in 2012. There was a perception that it was a quicker process to file matters with the court, rather than with the Tribunal, but the facts of the matters were different. Twelve tribunal members handled debt and non-debt re-arrangement matters. For adjudication to take place, the members had to be members of the tribunal, and after the recruitment process had been completed, the capacity of tribunal members should increase. The tribunal members would handle on average thirty-two debt re-arrangement matters in the motion courts daily. The motion courts lasted one week in each respective province. Regarding applications for debt rearrangement, Mr Dumisa said that the legislation did not allow the write-off of debt. He said that it was cheaper for the consumer to submit their matters to the NCT, as the cost of attorneys was not factored in. He added that the NCT was quicker at concluding matters in comparison to the courts. Ms Bosch said that the NCT had received positive feedback from the public regarding the motion courts. The NCT planned to continue with motion courts to assist people in the rural areas, as the ICT interventions were not accessible to them. If parties could not attend the tribunal for hearings, the tribunal panel would be sent to the area that the party was in, to conduct the hearings, or it would conduct the hearing over Skype. The processes of the NCT were informal compared to those of the courts. The NCT had implemented the first portion of the ICT intervention, and the second portion was scheduled to be implemented in the fourth quarter. Mr Dumisa said that the tribunal had been in operation for ten years and had accumulated experience regarding the adjudication of cases. In the past, each case took an entire day, but now four to five cases were held per day. Tribunal members were paid per day, so the cost of adjudicating cases had decreased, as more cases were being held per day. Ms Bosch said that the debt rearrangement application cost R200, but the rules allowed that if a specific consumer could not afford the fee, the consumer may write to the Chairperson to have the fee waived. The Chair requested detail on the legislative amendments necessary to improve the work of the NCT. Ms Bosch said that the NCT would submit the legislative amendments to the Committee in writing. The responses to the questions posed by the Chair regarding the matters filed before this financial year, would also be submitted to the Committee in writing. Ms Bosch said that the motion courts would continue to reach rural people, as the rural communities comprised only a small proportion of filings in comparison to the cities. The emphasis was on the parties involved in the automation of the NCT filing process. The Chairperson suggested that the NCT should review Ms Mantashe’s question and submit an expanded response to the Committee, appreciating the intention behind the question. She asked about the relationship between the NCT and the National Credit Regulator, and requested a response in writing. Ms Mantashe presented to the Committee on the revitalisation of the Queens Industrial park in Queenstown. The revitalisation had taken place the previous day. R22.5 million had been spent on the project, and she believed that the revitalisation was “good value for money”. Phase 1A of the park had been revitalised thus far. Fencing, ablution facilities and security had been installed. Businesses were already operating in the park in the areas which had not been revitalised, thus providing hope for the community that jobs would be created by this economic growth. According to Ms Mantashe, 71 jobs had been created and small emerging contractors had benefited. Her concern was that the main contractor was from Port Elizabeth and not from the area, as the main aim was to ensure that the people of the area benefited in order to alleviate poverty. Ms Mantashe said that black industrialists such as Black Dot were operating in the park, and emphasised that the Queenstown economy “will never be the same again” with the revitalisation of the park. The Department still had a lot to do to integrate the two parks, as the nearby graveyard needed to be closed down and removed from the area. The Chair said that the project should be monitored. The cemetery was not an easy issue to resolve. Ms Mantashe said that the Twizza Company was raising concerns regarding energy constraints, and recommended that the Department should consult with other departments in order to address this issue. The minutes from 21 September 2016 were considered. The Chairperson said that the attendance register had been mislaid, but had since been located. The Committee had been through the minutes, but had not been able to adopt them owing to the missing attendance register. Mr Williams indicated that Mr Macpherson had been recorded as a member of the ANC under the apologies in the minutes. The Chairperson joked that she was always ready to process new ANC members and induct them. Mr Williams proposed the amendment to the minutes. Ms Mantashe seconded the amendment. The minutes from 1 November 2016 were considered. Mr Macpherson asked how the Committee minutes were packaged and captured, as the vagueness of the points contradicted the content and nature of the actual discussions which took place. He emphasised that the statement made in the minutes that the Committee “raised concerns” did not capture the robust nature of the conversation and did not reflect the Committee’s discussion of the specific issue of age discussed. The Committee had opposed the proposal quite strongly, and additionally, the media had reported that the proposal was rejected. The Chairperson said that reference to the entire Committee must reflect the general consensus. The Committee had put its positions forward, and for various reasons it had not believed it wise to shift the legal age up to 21, as the current age of 18 could not be maintained currently. The Committee had requested a comparative study conducted in Africa, as the research presented to the Committee had been based on foreign countries. She indicated that the minutes had omitted that the DTI had been requested to return to present to the Committee on the requested matters. Mr Macpherson added that his request to the DTI to submit its empirical research and legal opinions had also been omitted from the minutes. He emphasised that there was a need to be definitive on the relevant points in the minutes. Mr Mkongi requested that the DTI should return with detailed information. He further proposed a paragraph in the minutes, recording the decisions which had been made by the Committee during the discussions to avoid confusion with regard to its proposals. The Chairperson said that the minutes should indicate that there had been robust discussion and should include that the Committee had requested empirical research and legal opinions. The Committee had requested the research on the neurophysiological matter of the brain undergoing further development between the ages of 21 and 25. She had been notified that the documents had been received. Mr Macoherson said that he had requested the legal opinions employed regarding the issue of liability. The Chairperson requested that the Committee receive the amendments by Thursday. Mr Williams moved the adoption of the minutes. Mr Macpherson seconded the adoption of the minutes, with the amendments. A DTI representative said that the documents and the legal opinions had been submitted to the Committee. The Chairperson said that the documents would be organised through the Committee channels and would be given to the Members. The Committee discussed its programme for the week ahead.